Longtime tour pro Guy Eaker had an eventful day on the water with President George H.W. Bush in 1992. Monte Burke, author of the 2006 book "Sowbelly: The Obsessive Quest for the World-Record Largemouth Bass", penned an article for Forbes this week. The title was "George H.W. Bush Was The Most Sporting President In U.S. History." Some of the top performers on the Bassmaster Tour from the early 1990s are quite familiar with the passion Bush had for bass fishing. Bush, who was quite close with Ray Scott dating back to his first run for the Oval Office in 1980 (Scott served as his top campaign official in Alabama), was twice a guest at the B.A.S.S. founder's fund-raising tournaments on Scott's private lakes near Pintlala, Ala. The proceeds from those events were used to build a local church. "He was a true gentleman and a great outdoorsman and it was a pleasure to meet him," said Larry Nixon of Bush, who'll be laid to rest today in Texas after dying Friday night at age 94. "He was all about hunting and fishing in America and it was fun to spend time with him. He was a true fan of fishing." Said Paul Elias: "The main memory I have was that he just put off such an aura of pride. He was a genuinely nice, down-to-earth regular kind of guy." The most oft-told story that came out of those events at Scott's property centered around the occasion when the President got a hook impaled in a finger while attempting to corral a thrashing 4-pound-plus fish he'd caught. He was in a boat with pros Guy Eaker and Charlie Ingram. The 77-year-old Eaker, who fished his final tour-level season in 2010, still recalls the details of the incident. 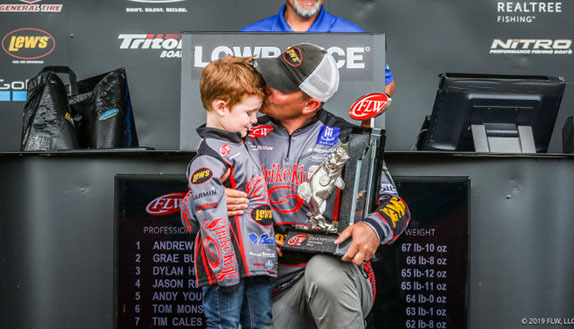 "The lake was full of durn fish and I put on a big crankbait for him and told him to throw it around rock piles, logs, out the back side of the boat or wherever he wanted to throw it," he said. 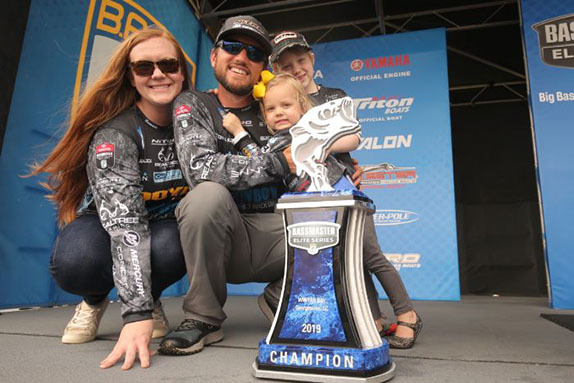 "He caught a couple of 3-pounders and we had a pretty good stringer, and then he hooked one that was between 4 and 5 pounds. "When he got it up to the boat I told him to be careful because those hooks were sharp, but he reached down to get it and it jumped, and he got one of the hooks in his index finger." Bush's doctor was in a boat nearby with a couple of Secret Service agents and Eaker said the President and the anglers were concerned that their day on the water would conclude once that contingent found out what had happened. They'd want Bush immediately transported to a hospital in Montgomery to have the hook extricated from his hand. Paul Elias described President George H.W. Bush as "a genuinely nice, down-to-earth regular kind of guy." "I said, 'Mr. President, I can get that hook out for you' and he said, 'Okay, let's do it.' It was buried plum past the barb, but I doubled up a piece of braided line and told him I was going to pull it out on the count of three. When I got to two, I snatched it out." Eaker said the doctor pulled up shortly thereafter and, as anticipated, was none too happy when informed of the proceedings. Nonetheless, she sealed the wound with some type of glue and the fishing commenced. Ingram, who owned the boat they were fishing out of, remembered being concerned about the vessel's interior. "I threw a towel back there and told (Bush) to put it on the floor so he wouldn't get blood all over it � that stuff's hard to get out," Ingram said. "He kind of laughed at that." Following the weigh-in ceremonies, Bush invited Eaker and Ingram to take a limousine ride to Montgomery for a tour of Air Force One. A few months after that, Eaker attended the President and wife Barbara's 50th wedding anniversary celebration at the Grand Ole Opry in Nashville, Tenn.
"He always sent a Christmas card and one year he sent a special Bowie knife with the silver President's seal and his name on it, and there was a letter from the guy in Michigan who'd made the knife, saying it was one of a kind. That's going to be worth something and my son and daughter argue over who's going to get it when I die." Eaker and Ingram were paired with George W. Bush, then the owner of the Texas Rangers baseball team who'd go on to become governor of Texas and then the 43rd U.S. President, later in that same event. 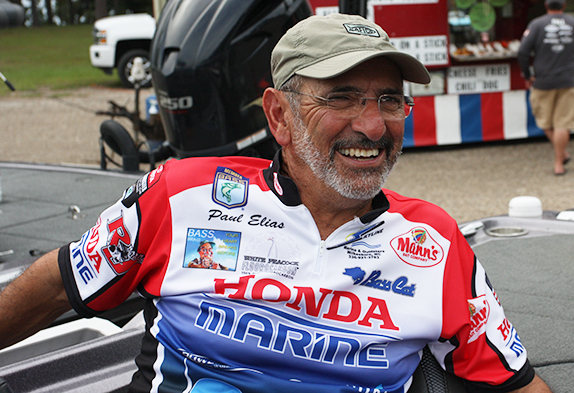 Eaker said "W" broke two of his rods in freak occurrences. "He wanted to pay for them, but I told him, 'Fenwick gives those to me, so don't worry about it.' Still, he wanted to do something and I told him I'd been a pitcher in high school and I was a big fan of (then-Rangers ace) Nolan Ryan and I'd like to have a baseball that he'd autographed. Two days later, I had the ball." 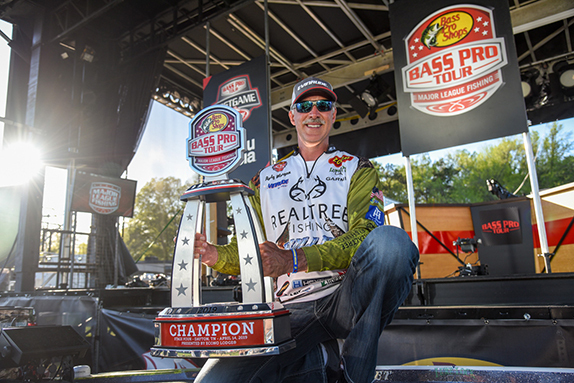 Major League Fishing pro Alton Jones was friendly with the younger Bush dating back to that same time period � they'd been introduced by the host of a local TV fishing show who was taping a segment with Bush and knew that Jones could put them on some big crappie. 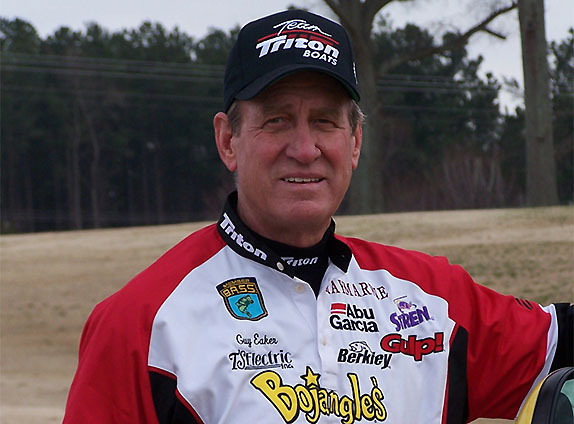 Jones visited the White House after winning the Bassmaster Classic in 2008. "I never met his dad, but I felt like I knew him because of the way George W. always talks about him," Jones said. "Every time I've ever been with him he's always spoken about his father and the things he taught him. I watched the whole funeral (the state service that took place in Washington D.C. on Wednesday) and it was a very moving time for me. "George W.'s passion for the outdoors was something that was passed on from his father, and it should be an inspiration to all of us about how important it is to teach that to the next generation." > Ingram is still amazed by the number of Secret Service personnel who were on Scott's property during that 1992 event. He said there were 86 of them, including about 20 in the water scuba diving. "They were on the rooftops, in the trees ... it was a wild deal." > Ingram added that the elder Bush was much more intent on catching fish than his son was. "(George W.) didn't care if he caught one or not, but his dad was mad at 'em. He was a serious fisherman."